Hi there and welcome to Toronto Dog Spot. 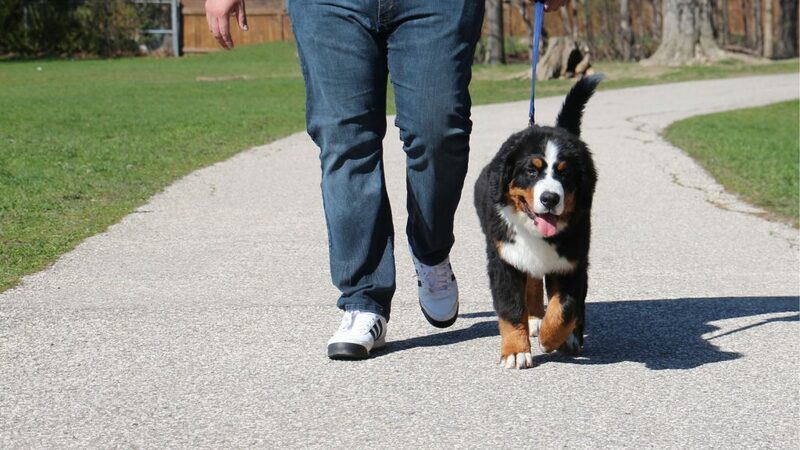 We are a directory that connects you and your favourite dog to the top dog walkers, dog sitters, and doggy day-care and veterinary services in the Greater Toronto Area. My name is Eduardo and my furry friend in the picture is Titan. Titan is as much of a member of my family as my wife and daughter. That means I want the best and only the best for my little buddy. Titan is the reason this directory exists. My wife and I work long hours so we need someone to walk our dog on a regular basis. We wanted to find someone we could trust alone with Titan and the house. Eventually we found someone through word of mouth (who wasn’t listed online), but it was a long process. I started thinking about where people go to find dog walkers, sitters, or any professional care services for their dogs. Most of those connections are made through referrals and online searches, but I found that the most capable and credible dog walkers/sitters/veterinarians lacked a website or any kind of online presence. After we found our dog walker, I started looking into different types of dog care services and how best to find them. Many of the listings I found were through ads posted on sites like Kijiji, which is sometimes ok but how can you be sure that the people posting those ads are trustworthy people? I started to ask myself: why is there no directory in the GTA to connect dog owners with people who can help care for their dogs? There are some small scale directories specific for dog walkers, but very few doggy day-care, dog sitter, or veterinary service directories serving Toronto and the surrounding areas. I thought that this is a major gap since there are thousands of people in the GTA who own dogs and need help caring for them. Sometimes families go on vacation and need to leave their dogs with professionals. But finding a place you can leave your dog is a challenge, to say the least. During my research into other cities I found some blogs that create content for dog owners, but very few that fit the profile of a directory and a blog. That’s when I decided there’s an opportunity to do some good by helping people who love their dogs as much as I love mine. I found a domain name that aligned with what I wanted to do with this directory, and began building my brand. Now I can say that we’re here to help all dog lovers, in and around the GTA, connect to the right types of people who can help care for their furry little family members. I encourage everyone with a dog walker, sitter, veterinarian, and doggy day-care provider that they trust to leave a review on our directory so that other families in need of trustworthy dog lovers can connect to the best. While you’re here, please enjoy the website!